Home Latest News A Large Asteroid Just Whizzed By Earth How Could We Deflect It If We Needed To? A Large Asteroid Just Whizzed By Earth How Could We Deflect It If We Needed To? An asteroid estimated to be as long as the Brooklyn Bridge is tall made its closest approach to Earth today. The space rock, dubbed 2013 MD8, measured around 38 to 86 meters (126 to 282 feet) and dashed by Earth at 15.1 lunar distances, traveling at 13.6 kilometers per second (30,418 miles per hour), according to a statement released by NASA’s Center for Near-Earth Object Studies. Though large, this particular asteroid wasn’t expected to cause any harm to our home planet – but what would we have done if it were on a path towards Earth? Firstly, most asteroids and smaller meteorites burn up once they pass through our atmosphere, but pieces of space debris do occasionally collide with Earth without consequence, often going unnoticed. 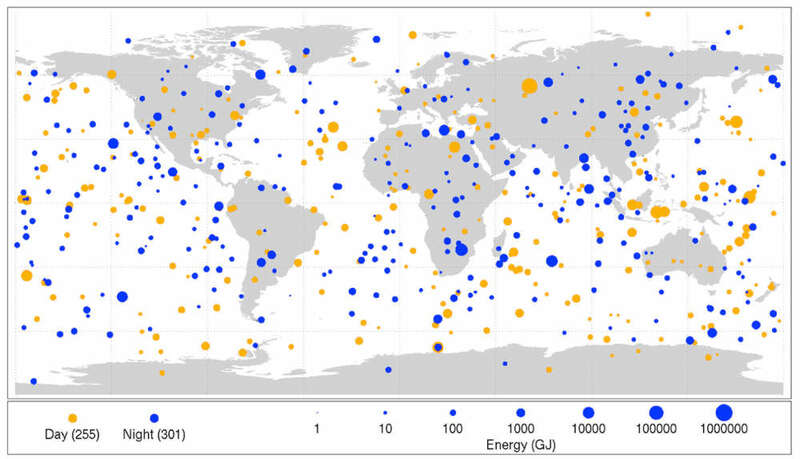 For those that may, NASA has a team of scientists tasked with detecting and tracking potentially hazardous near-Earth objects (NEOs) – asteroids that have a predicted minimum approach of less than 7.4 million kilometers (4.6 million miles) and a diameter greater than 140 meters (460 feet). NASA’s Planetary Defense Coordination Office (PDCO) is tasked with ensuring the early detection of potentially hazardous objects. These are asteroids and comets whose orbits may bring them to within 0.05 Astronomical Units of Earth and are large enough to reach the planet’s surface – greater than 30 to 50 meters (100 to 160 feet) – in real-life Armageddon fashion (RIP Harry S. Stamper). So far, they’ve found 95 percent of the known catalog of over 15,000 NEOs at a rate of 1,500 each year, roughly half of which are larger than 140 meters (460 feet) in size. If PDCO detected an asteroid at-risk of causing a harmful impact, the organization would first track its orbital path to predict if and when it might collide with Earth. If potentially dangerous, they would lead a mission to remove the target by either breaking it up or deflecting it. This work may be more important than ever as a study published earlier this year found that the number of asteroids colliding with the Earth and Moon has increased by up to three-fold over the past 290 million years. VidRankNeos is a web app that lets you rank your videos online #1 within 24 hours using YouTube Live. Deflection strategies are aimed at changing the asteroid’s orbit enough so that it would miss Earth. This could be done by either using a spacecraft to change its gravity, employing laser ablation in order to vaporize the space rock (yes, that’s a real thing) to change its course, or by using a technique called kinetic impact, which sends one or more spacecraft into the asteroid to push it away. As a last-ditch effort, nuclear deflection could be used to break up or deflect an asteroid. Get Upgraded package and start selling Facebook Marketing 3.0 HD video training as your own for 5x Profit.